It cracked on its very first test ring in 1751, causing the metalworkers to melt it down and cast a new one. And after then putting it up in the State House, they rang it to round up lawmakers for their sessions, as well as to gather citizens to hear the news. Benjamin Franklin, in fact, once wrote a friend saying, “Adieu, the Bell rings, and I must go among the Grave ones and talk Politicks.” By the 1840’s, however, its regular use caused a narrow split to develop in the bell, leading repairmen to widen that crack to try to prevent its farther spread. As we come to another Independence Day celebration this week, thus, it’s well worth remembering not just the origins of our country, but what many saw as God’s divine purpose for it. For the real sound of independence always comes not from a clapper in a cast bell but from the chorus of grateful voices of those who have understood the cost of freedom and all who have paid that price over the years. Even if the bell itself is not exactly all that it’s cracked up to be. What do we say to those “inhabitants thereof” who have never experienced that liberty so many of us take for granted, who have no share in the gratitude of which you speak? Those who live among us, even share our daily lives, but are systematically pushed to the margins? Perhaps it is not just the bell that is cracked and silent. When you visit Philadelphia and the Liberty bell, you can actually touch it. Although it looks like its surface is rough, it’s actually very smooth to the touch. 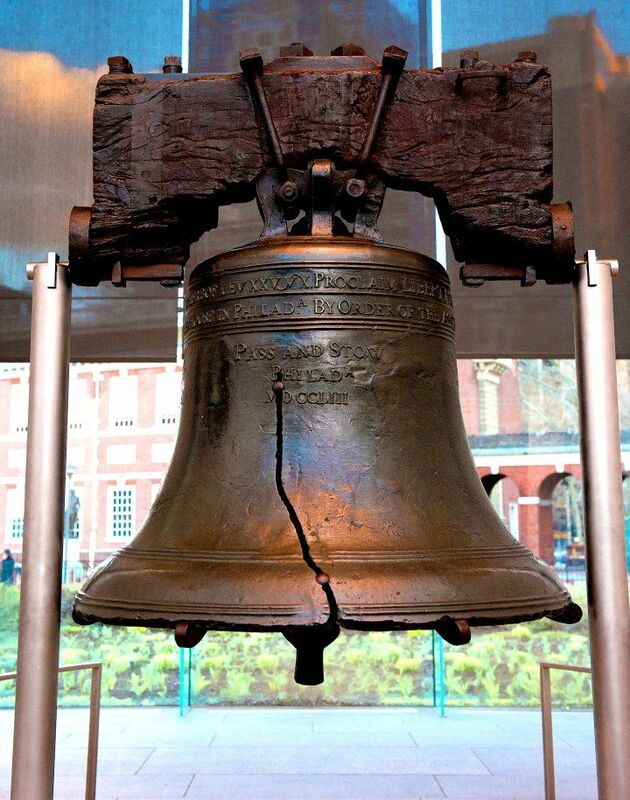 I’m thinking that if, like the Liberty bell, we could smooth out some of the roughness in our society (and our denomination?) life would be a lot easier. Thanks, Chap! Always so good and right on!!! Happy 4th!